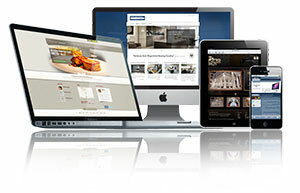 Your website is your potential customer’s first impression of your business. In the past websites were difficult to design and build and they could be intimidating to the average person without knowledge of HTML, CSS, FTP, etc… Today, not only have websites improved, but they are also much easier to build, maintain, and add new content. We believe the best platform to build a website for any business is through the platform of WordPress. While WordPress is very easy to learn to use, there is still a small learning curve if you have never built a website. Some of the great features of WordPress are that it is a “open source” platform, it is easy to edit without knowing HTML, they have beautiful themes that are easy to modify, and they are very search engine friendly. Because WordPress is such a popular blogging platform, it’s easy to find developers to work on it. It also certainly doesn’t hurt that WordPress is written in PHP — the most popular programming language on the planet! WordPress is easily extensible through the use of plugins. Many hundreds of plugins exist already. It’s also pretty easy to add plugins relevant plugins to your site. SEO – You can optimize your website easily by adding tags to all your pages and posts. It’s also very easy to update regularly, and Google loves new content! We will show you how to update your site regularly, or you can hire us to do if for you for a minimal charge. Customization – You can change the look and color of your website in a few clicks. There is a simple editor which is easy to use, along with many different themes available. Many themes will have different color schemes that are easy to change. Social Media – WordPress is fully compatible with all forms of social media. Facebook, Youtube, Twitter, can all appear on your site. A site for life – WordPress is always being updated! If you want to add a new section, page, post, to your website, you can easily do it in a couple of clicks. Want a site that can expand and change with your business, this is it! Integration – Newsletters, online payment systems, social media, contact forms, E-commerce, WordPress has a plug-in for all those, and many many more. Most of our clients like for us to build their website and take care of any graphical changes that may need to be made including logos or other artwork that may affect the entire site. At this point, the business can update their site regularly with new products, services, specials or events that may be happening with their business. The great thing about WordPress is that you don’t have to learn HTML or have web editing software, ftp software or anything technical that could make it difficult to make changes and updates to the website. Today over 50% of searches for local businesses are done while using some sort of smart device and that number continues to rise. 90% of those potential clients end the search and move on within the first minute if they find it difficult read or navigate. You also need to know that Google favors sites that are mobile optimized. (1st or 2nd page as opposed to 6th or 7th.) This will obviously make a huge difference in number of visits to your site. The latest results results show that only 8-10% of local businesses have a mobile optimized website. In time it will be standard practice for all businesses. 70% of potential clients called a business after an easy successful search. Smart phones represent more than 67% of all United States mobile phone sales. There are 2 million smart phones sold every day worldwide!!! Smart phones are the fastest growing technology in human history. Here are some of the websites that we have designed with WordPress recently. And of course we designed this website as well. If you would like us to design and build a website for you, or if you would like a free consultation about your current website, please click here.